Halloween is just around the corner, and with that comes halloween treats. But what is “Scary” about it, is the calories that come with those little bit sizes of fun! Topping the list of “Scary Treats” are…..
Reese’s Pumpkins. These cute little treats pack in a full 170 calories in just one cute oversized pumpkin shaped treat, with 10 g. fat (3 g. saturated fat) and 16 g. of sugar. This is nearly 2/3 more calories than a regular Reese’s peanut butter cup. By choosing the bite size treats you will save yourself on calories, fat, and sugar, but that doesn’t mean you should eat more. There are 36 calories in a Reese’s mini with 4 g. fat (3 g saturated), and 6 g sugar. 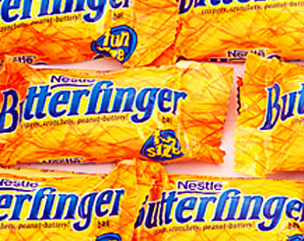 BUTTERFINGER “Fun size” – I have never been one to like a butterfinger, and this may be why… One fun size bar will give you 100 calories, 4 g fat (2 g saturated), and 10 g sugars. 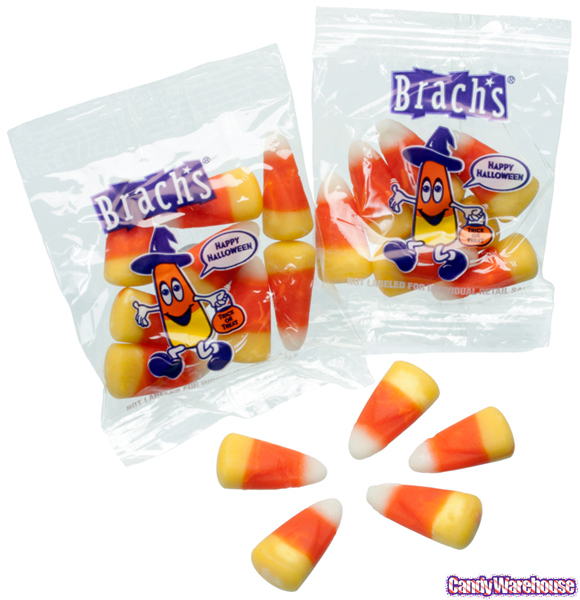 Brach’s Candy Corn Treat Pack – I have never been one to like candy corn, and I always laugh at my husbands story about how he asked for candy corn one Christmas and was given a whole shopping cart full of this sugary stuff from the “big man” in the red suit. Surely that is the reason that he no longers eats it… makes me laugh to think of what his eyes may have been like when he saw all that candy. While candy corn is not on the top of the list for “Worst treat” it does come with quite a few calories for it’s size. 50 calories per little bag. The same amount of calories come from eating ONE Twix Mini or one York Peppermint Patty miniature. If I had my choice – I would go for the York peppermints. 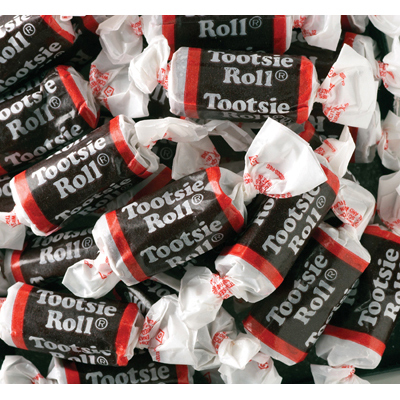 But my all time favorite Halloween candy would have to be the classic Tootsie Roll Midgee. These cute little treats hold 23 calories per mini, and while you could unwrap a bag of them and eat them up, I must be getting too old to have the desire for candy. Two or three midgees will do, and I have gotten my sugar fix for the day. So why do we care about calories in candy at Halloween. As adults, we are always watching our waist line, and we are the ones who purchase the candy to hand out at Halloween (if we do indeed participate in the event) Here are some tips to keep from packing in the calories over the next few weeks after the kids have all collected their goods. 3. Don’t want to have the candy left around after Halloween – Leave the light on and put it on the front porch – Without a doubt, some kids will come by and dump the entire container in their pillowcase and take it home… Not that we want them to eat all of that, but their metabolisms are faster than ours. I am not anti-halloween, or a label reader really, but thought that this was an interesting topic to cover at this time of year, since we are talking about caloric intake and exercise – It is always best to remember to eat things in moderation and to limit fats and sweets – I don’t want to see all of my kids becoming diabetic later in life of having cavities galore from all the sweet treats that they indulged in as a child… but remember – Calories do count, and the older we get, the more they seem to matter, as the bodies metabolism slows down and we begin to become more aware of what goes into our mouths. What is your favorite candy??? Let us know. at least we have high matabolisms but we still shouldn’t be eating ALL those calories at once. wow, at least when we walk we lose weight! !